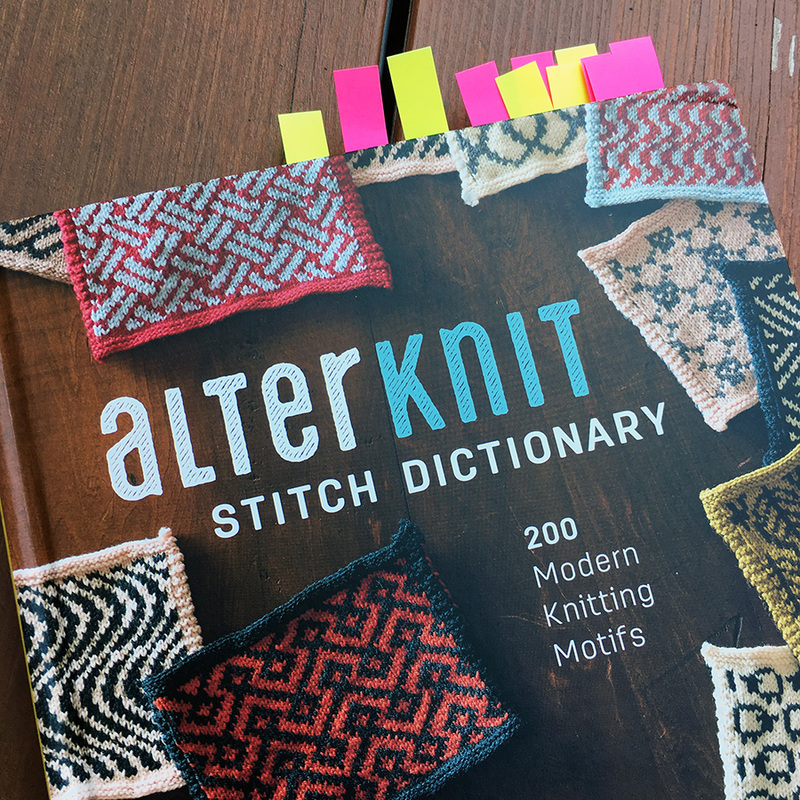 GIVEAWAY: Modernize Your Colorwork with the Alterknit Stitch Dictionary! 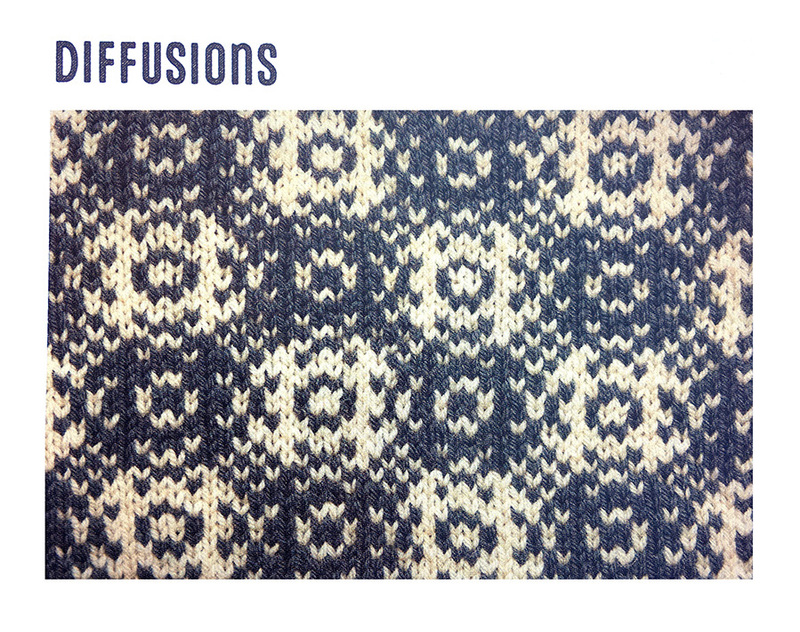 As I've been exploring colorwork and learning to combine strange random yarns into colorful scrapbusting projects, I've been craving some mind-blowing stitch patterns. Andrea Rangel to the rescue! 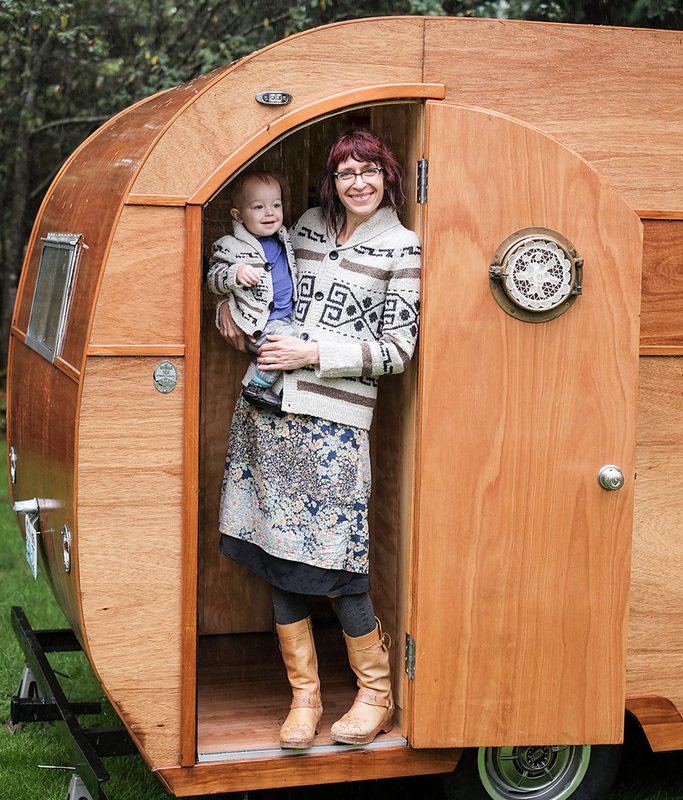 Andrea is a knitwear designer based out of British Columbia, and you might know her from her book Rugged Knits. How I know her? The ONLY way to dress up your family in matching sweaters: Big Lebowski-esque cardis!! (The little one is called Little Dude and the big one is called The Knitter's Dude.) 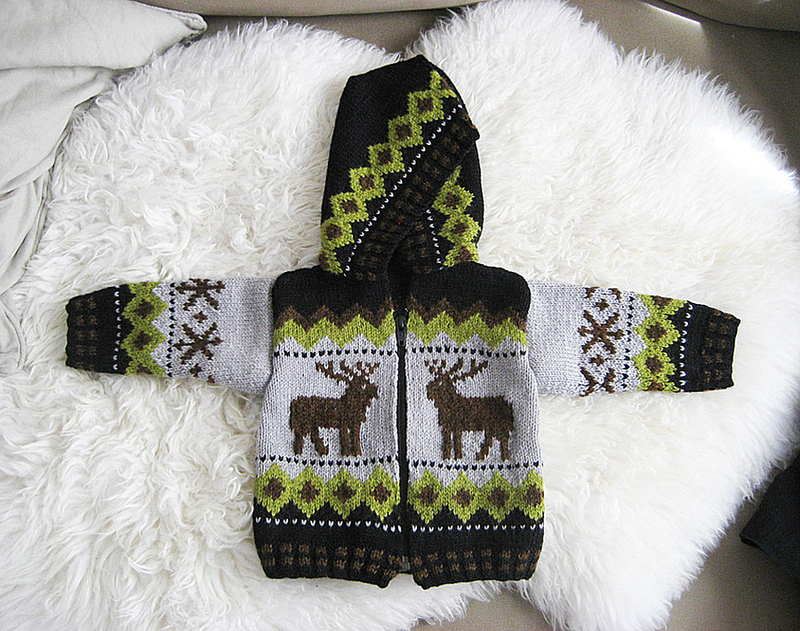 You know I love Cowichan-style sweaters, especially for little ones. Here's my take on one from Phildar. 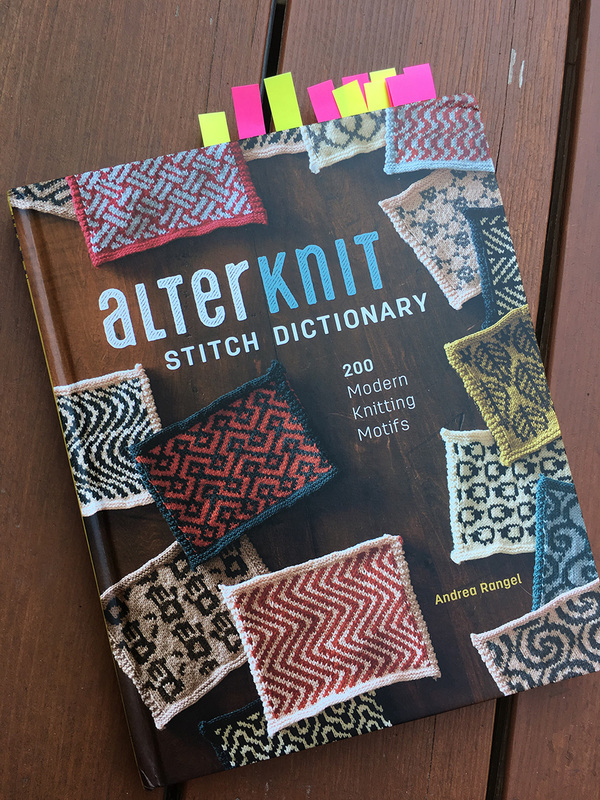 You'll seriously need some Post-Its while you peruse Andrea's new stranded/fair-isle stitch dictionary Alterknit. Here are just some of the ones that got me -- but I'm curious to see other reviews of this book because I'm sure no two people would ever pick the same ones. This simpler one ended up being my favorite actually! Love the complexity here, needs a small gauge though. Such thin lines, love it! My second favorite, Imperfect is symmetrical yet off somehow. 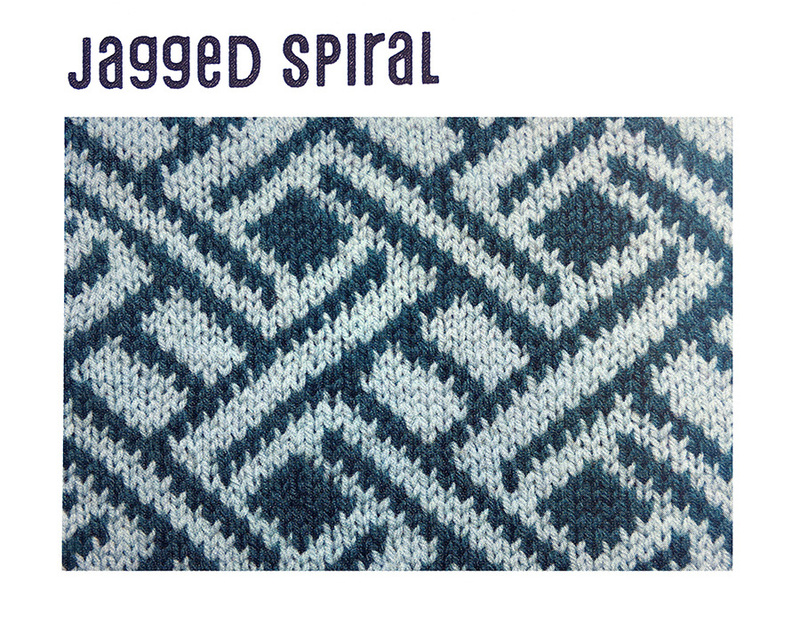 Would be gorgeous with a self-striping yarn. For those of you who love the patterns but would have no idea how to use them -- DO NOT FEAR. 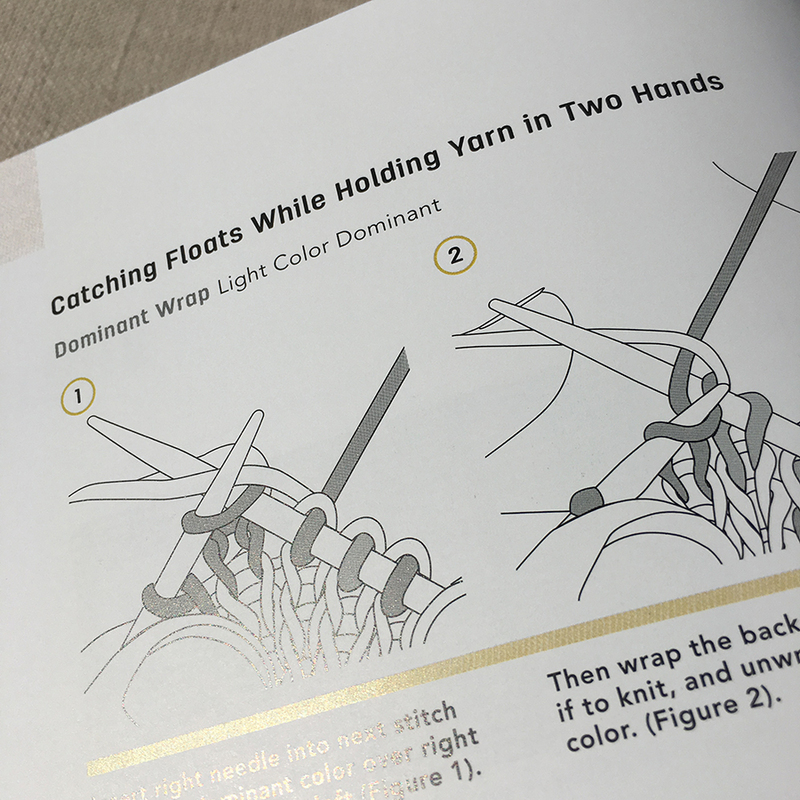 If you use her yarn weights and gauge, many of those 200 stitch patterns can be integrated into 5 patterns she includes at the end of the book. 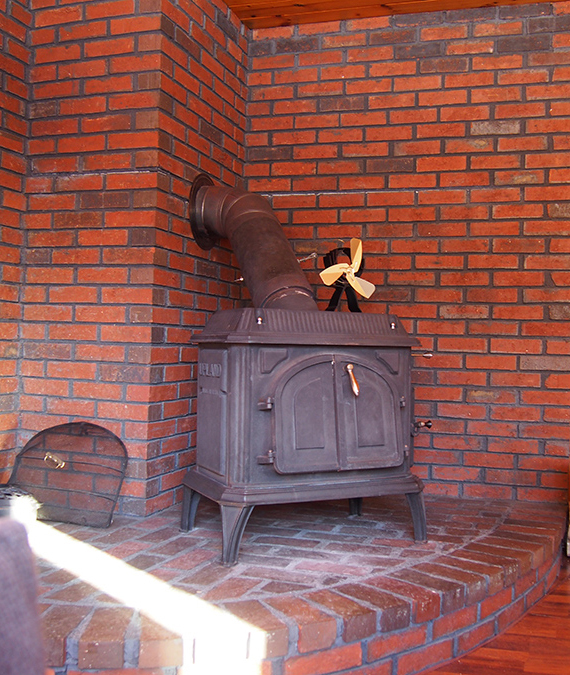 A cardigan, a yoke sweater, a cowl, mittens and a hat. The drawback of this is gauge. 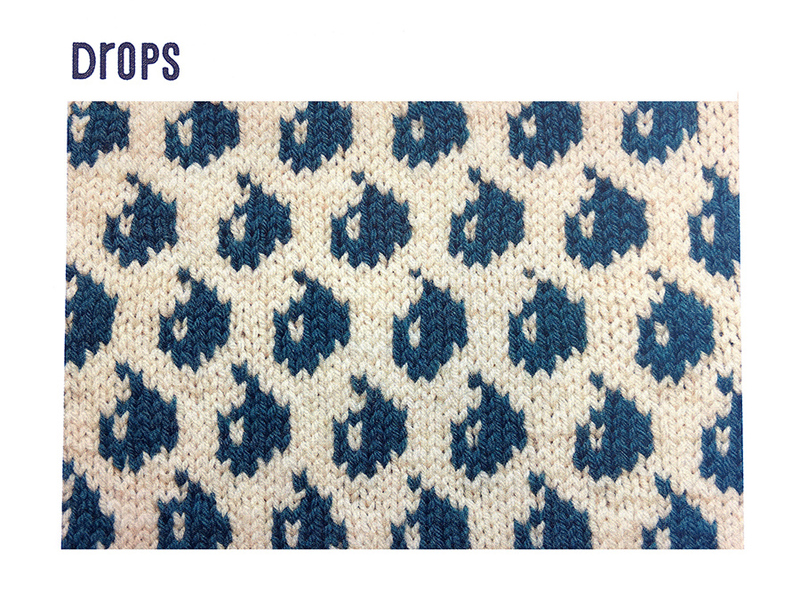 I think that many of us would not knit colorwork at such a small gauge (these are 30 sts by 29 rows). This might be a herculean task for the designer, but at least one of the patterns would have been more helpful if written for a variety of yarn weights and gauges. 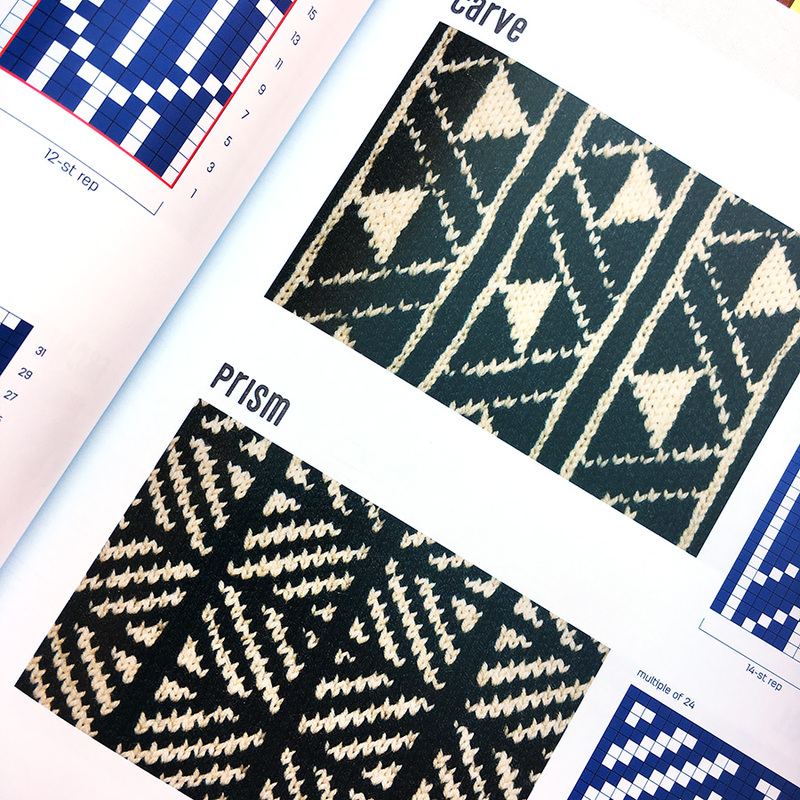 How cool would these patterns look in a super-bulky?! 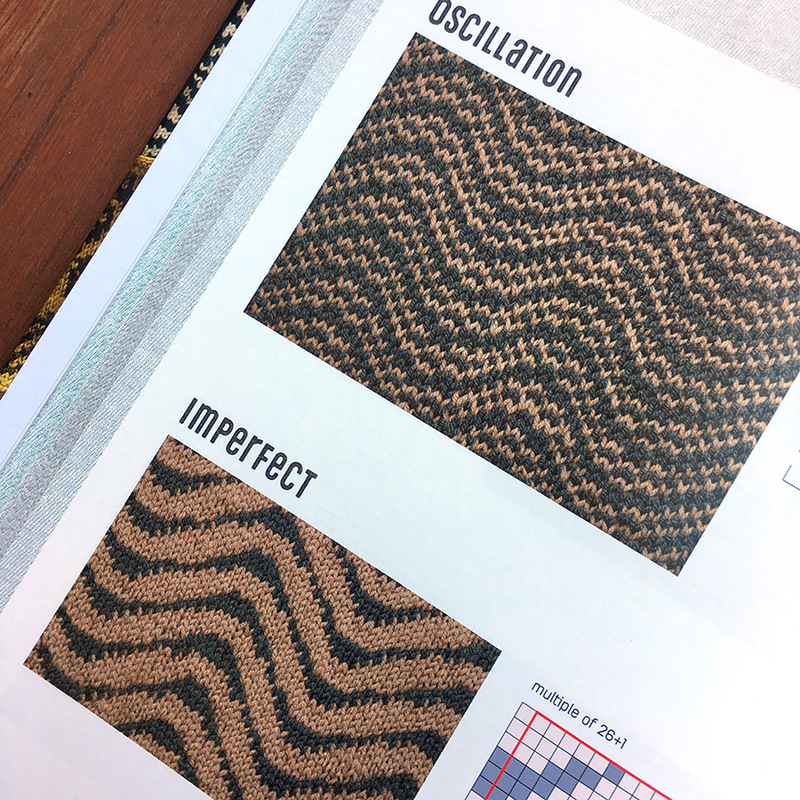 If you do want to integrate these stitch patterns into other garment patterns you like, just remember that stranded gauges are SQUARE, while stockinette gauges are RECTANGULAR. 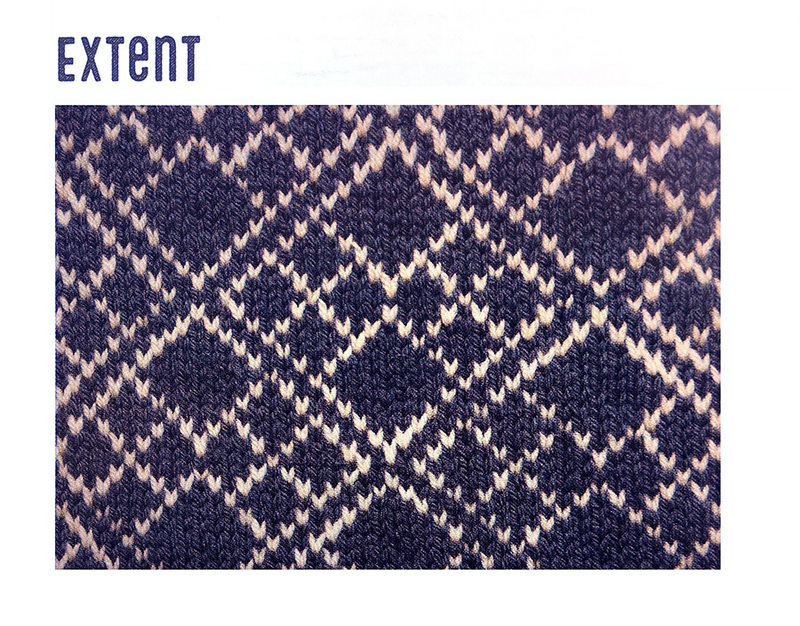 In other words: don't replace a stockinette sweater with these stitch patterns, replace colorwork only. I have to say I was thoroughly impressed with this book and the gigantic amount of work that must have went into it! 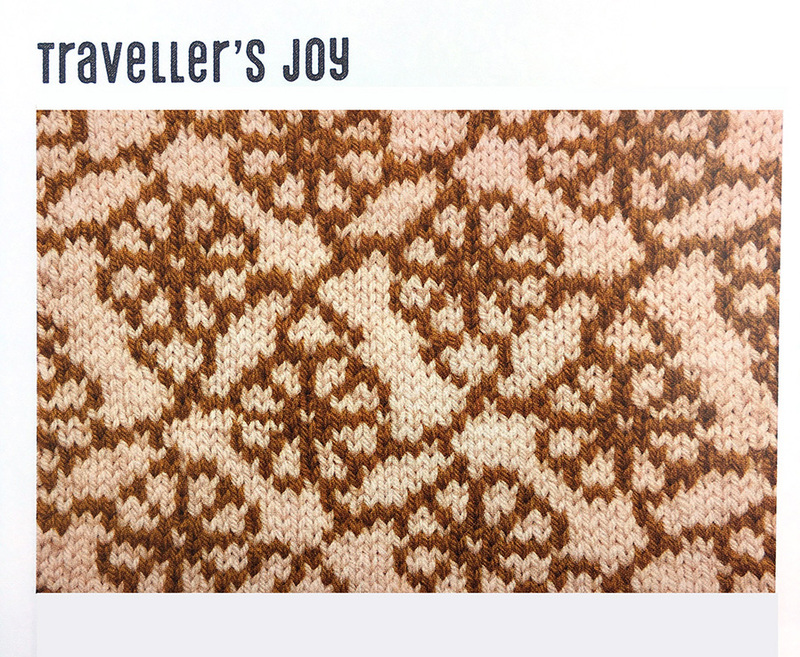 The book is available from Interweave Press. Interweave was kind enough to send me this book to review -- and LUCKY YOU, they are giving away one copy to anyone in the US or Canada! Instagram: Follow @dayanaknits and leave a comment on my post. Extra entries for every friend you tag! 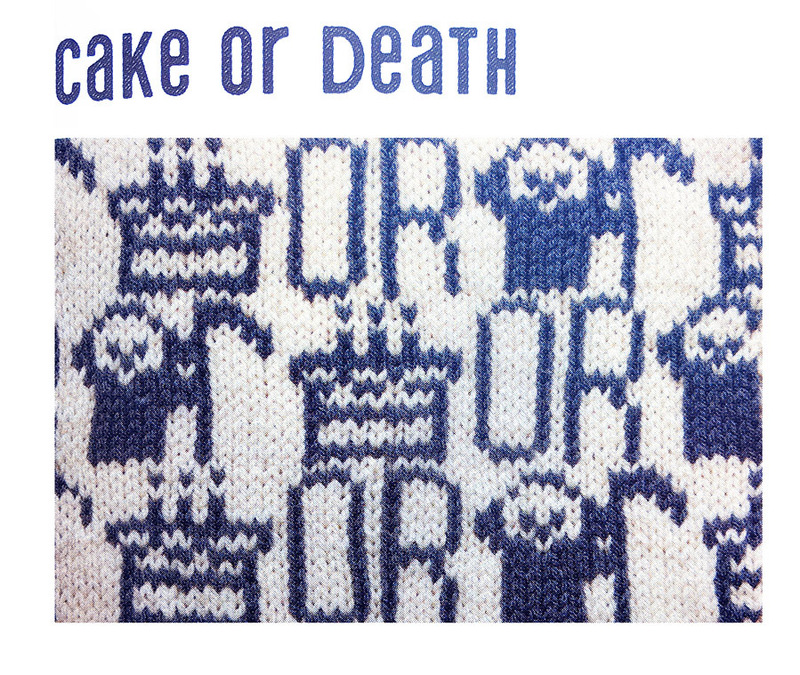 I have to try cake or death! Ok, trying to leave a comment again. Sorry if it posts twice. 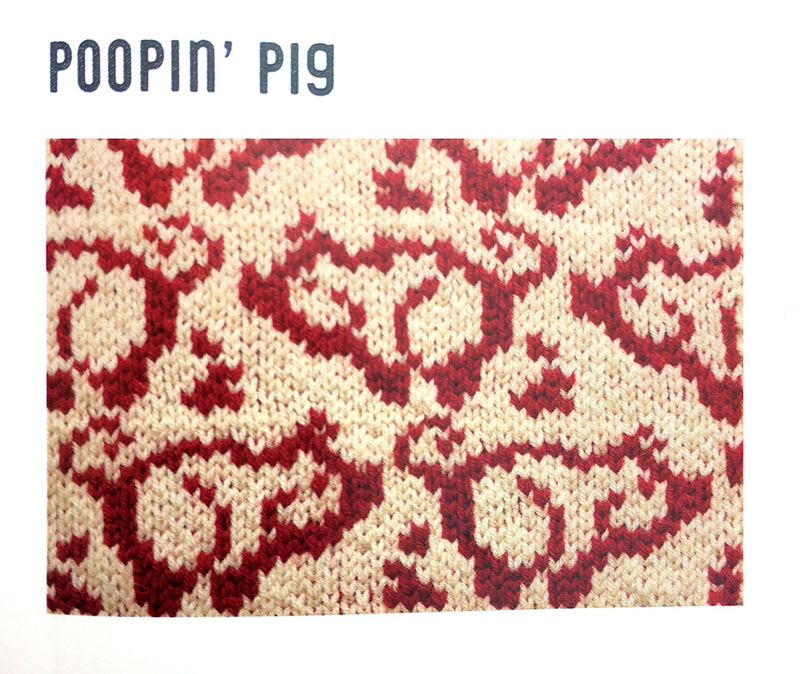 I think the Poopin' Pig would make a great knitting group white elephant gift! This looks like a fabulous book. I can't wait to Oenone. Thank you for a thorough review of this book. It is now on my birthday wishlist. 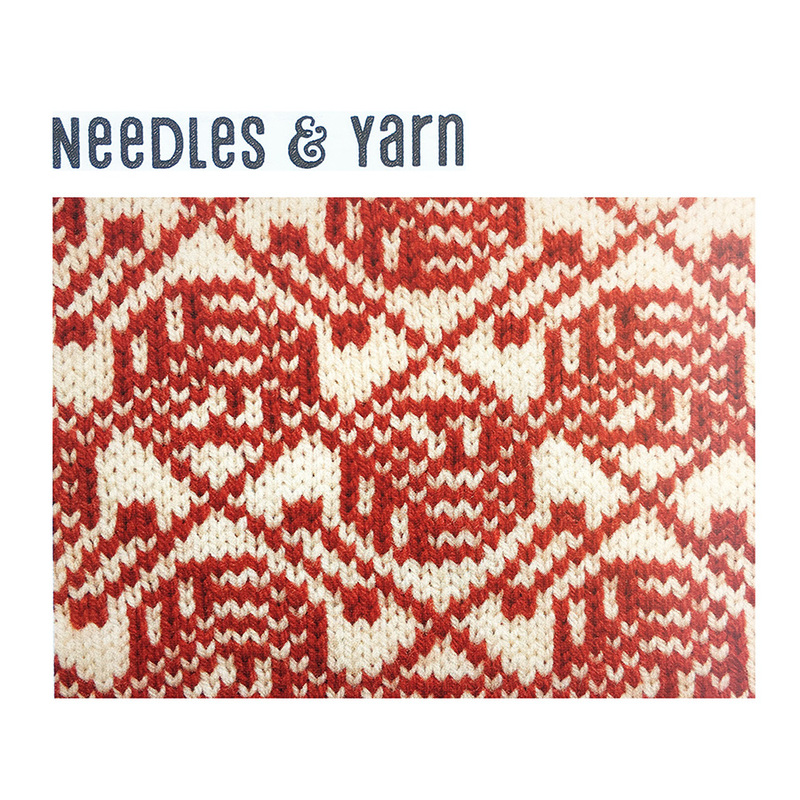 I look forward to adding this to my knitting library. 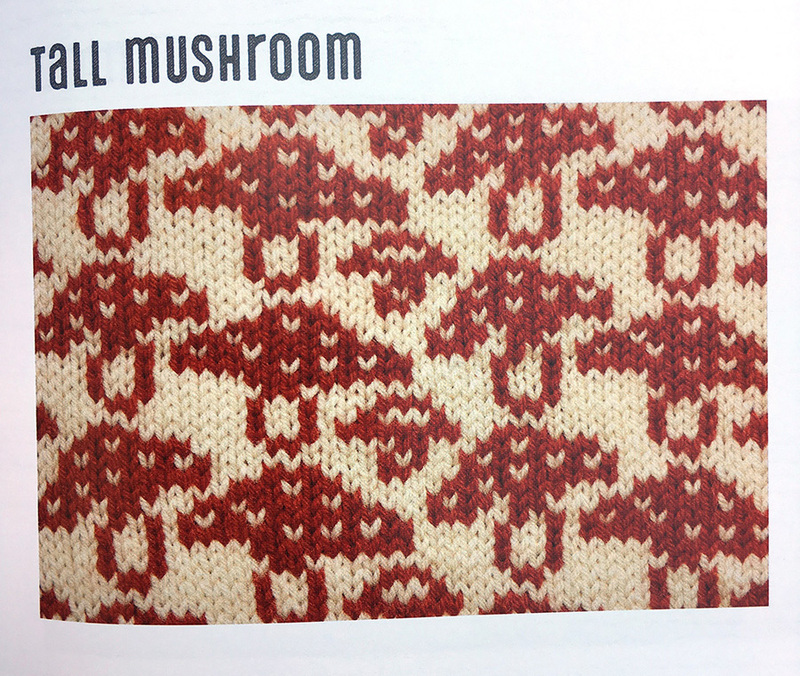 Working on learning fair isle stranded knitting and this looks like a wonderful resource. Wow, this is so cool and different! I am so excited about this book! Thank you for the opportunity to win. 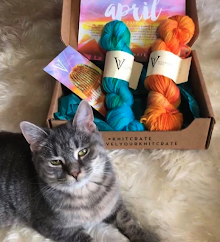 My Ravelry name is nysunshine. The black faced sheep are killing me!!! 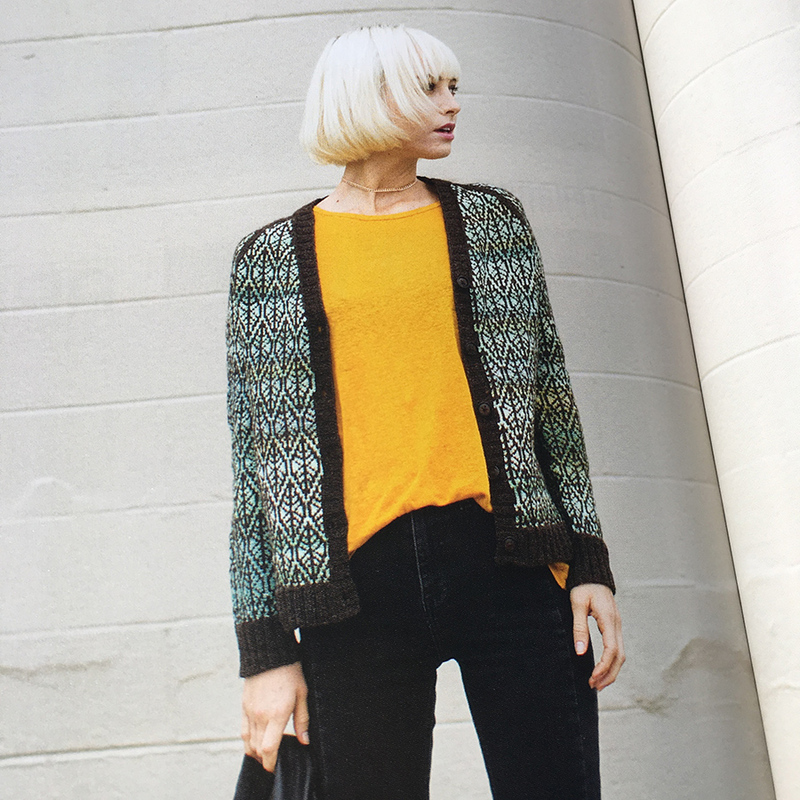 And the cardigan in the patterns section!!!! This book is wonderful! My ravelry name is txlady129. Oh my goodness, the poop in pig is too funny. 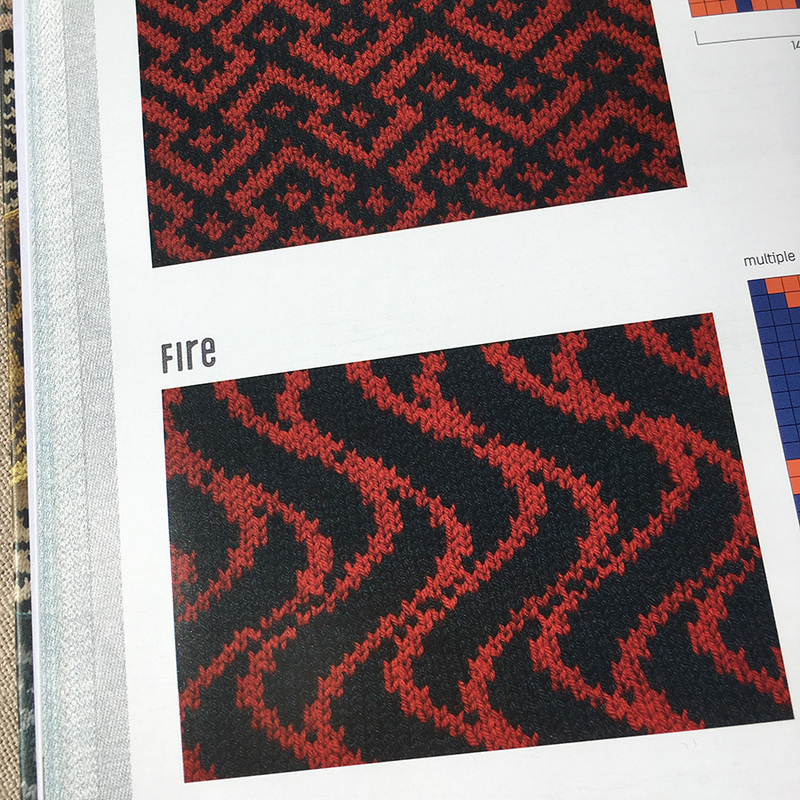 I want this book because there are a ton of patterns I want to do; and I did not see all of them. My Facebook name is Michelle L. McCabe. Looks like an amazing book! 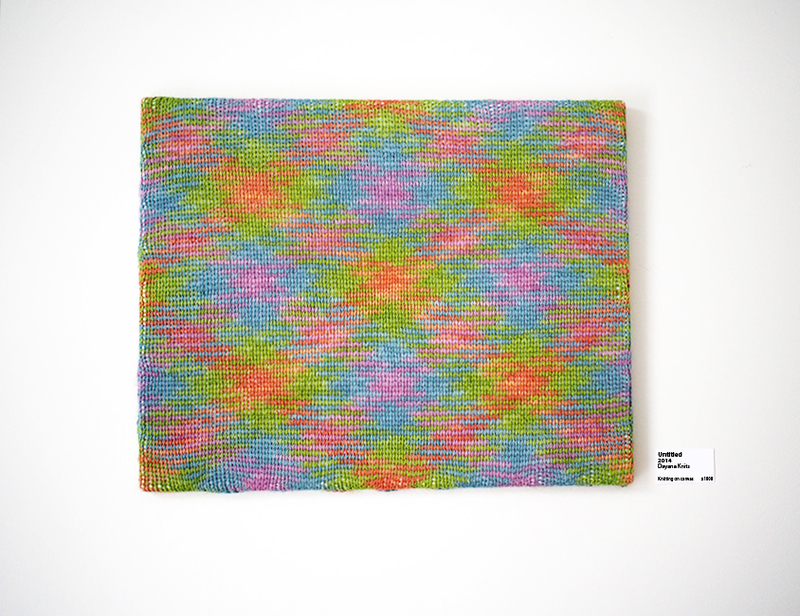 Mmhiscox on Ravelry. Face book is Jen Higgins. Looks like an amazing book! Would love to have this to hand! Wow, that is a seriously creative and outrageous book! Love the fire images the best! Wow. This books looks amazing. 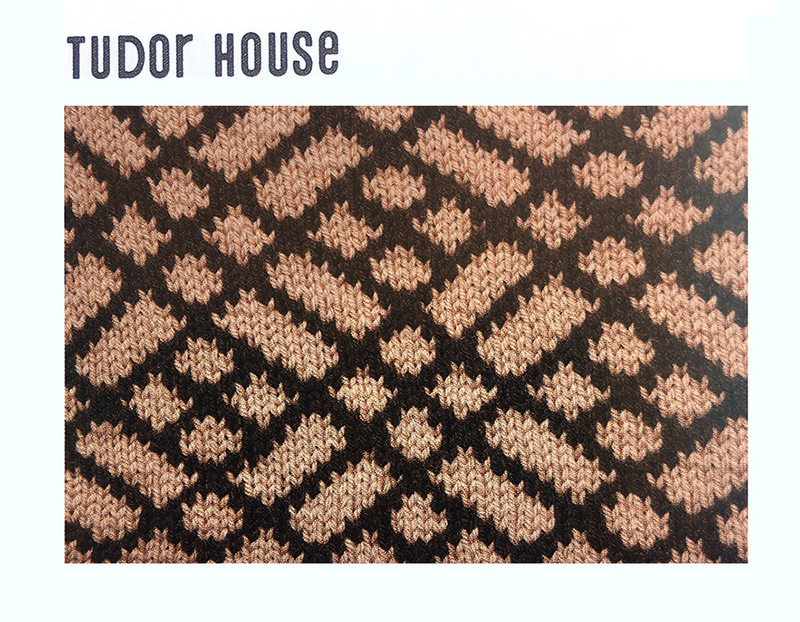 It would make a great coffee table book in my house until I get the courage to try color work. Thanks for candid book review. Always appreciated. What an inspiring book! It has me dreaming already, just from your review. Please enter me in the drawing. My Ravelry name is LCBraun. What a wunderfull book. It's in my wishlist now! Amazing book, I love it. I can't wait to get my hands on this wonderful book! 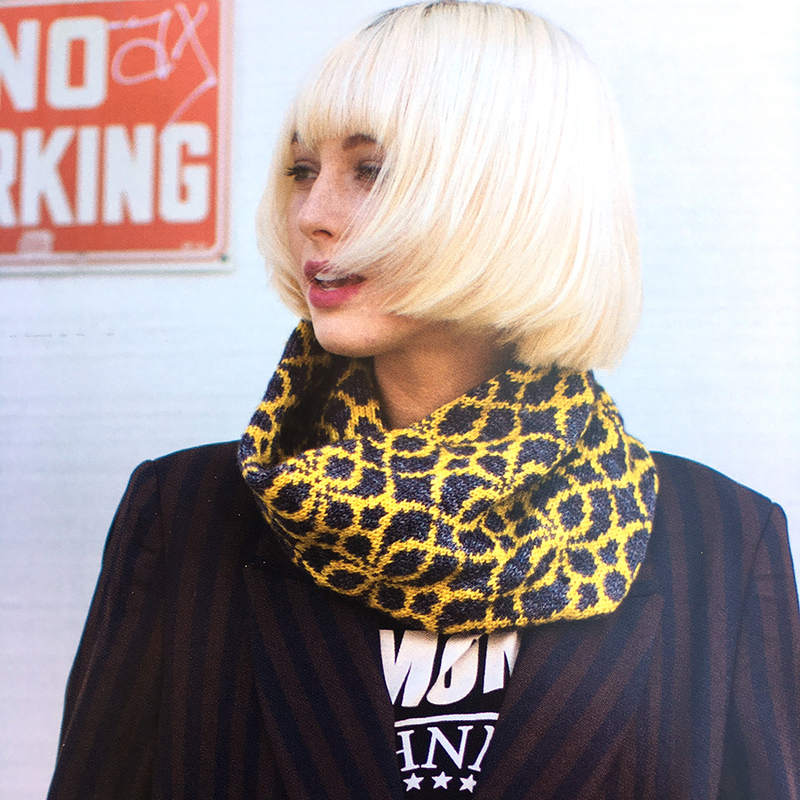 It's so full of gorgeous stitch patterns and exciting projects that are so stylish! This book seems to be a must have! I follow your blog and love everything you make, so if you loved this book then naturally I must have it! 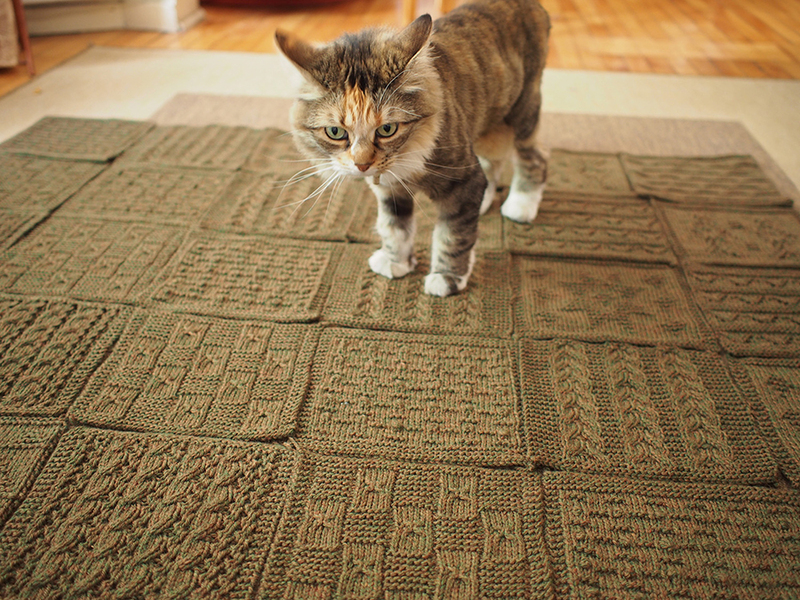 I am virtually putting together my scraps into those swatches then a scraps blanket.... loveofcuteness on Rav. Wow. The giveaway is much creative and impressive. I hope that having it, one can have the best designs to wear in winter season. Thanks for sharing the giveaway offer. Thanks for the giveaway! Gauss. This book!!! 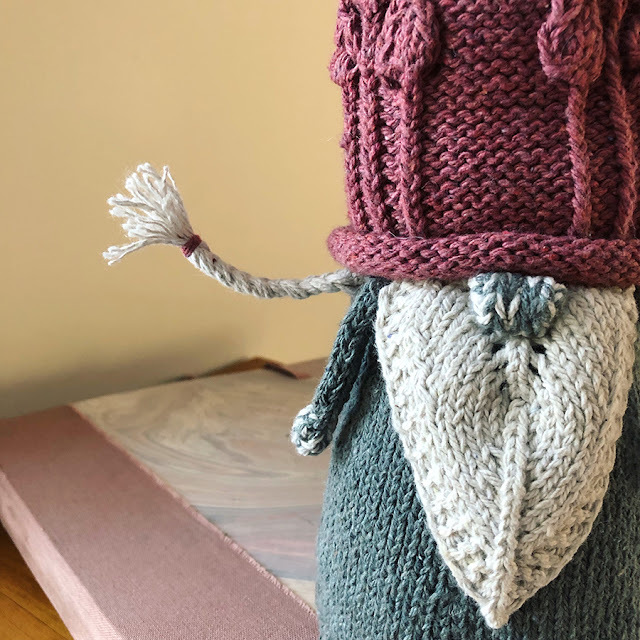 I would love to have this in my knitting library. Thank you for the give away! yessss great thing to win!!! Whoops, just sent you an email instead of commenting. Sorry! Hello! This book looks fantastic! I'm really glad to try my luck on your giveaway! 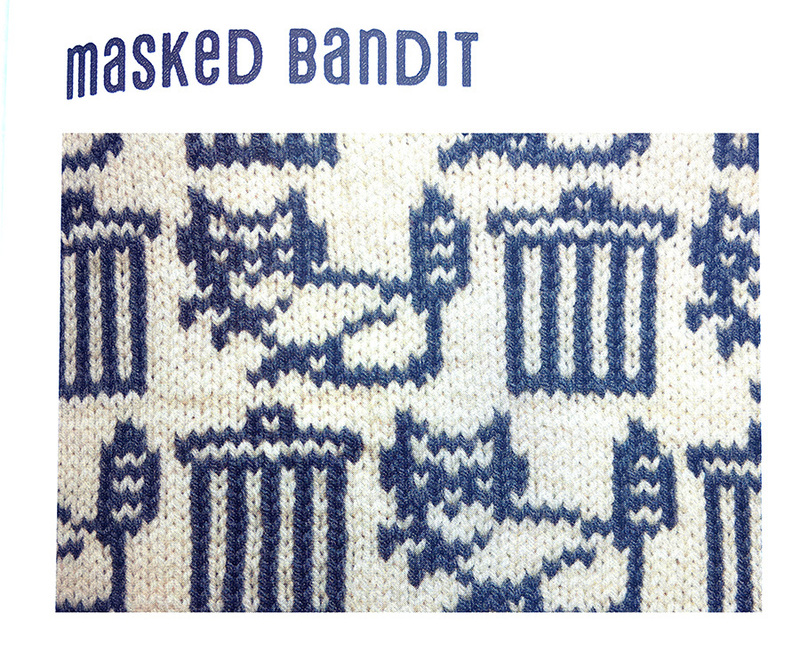 Love this book...masked bandit is a pattern I would love to try...thanks so much for the chance to win! Thanks for the thorough review ... And the giveaway! I am gkgreen on Ravelry and @gkgreenknits on Instagram. I have also entered in the other ways you describe above. Wow... I would love this book.. 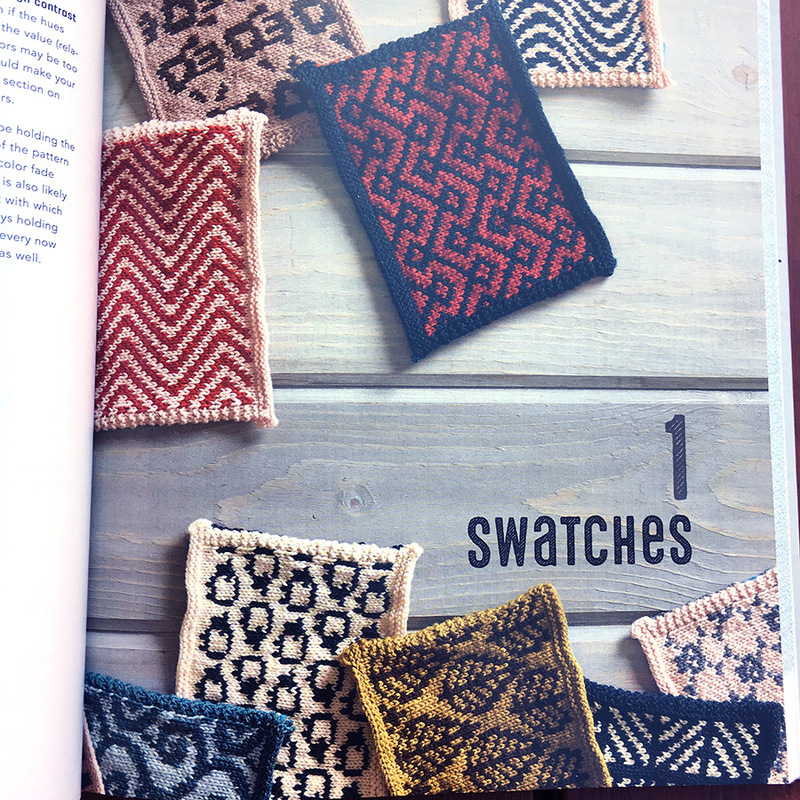 I love stranded colorwork, and this book "takes my breath away"! 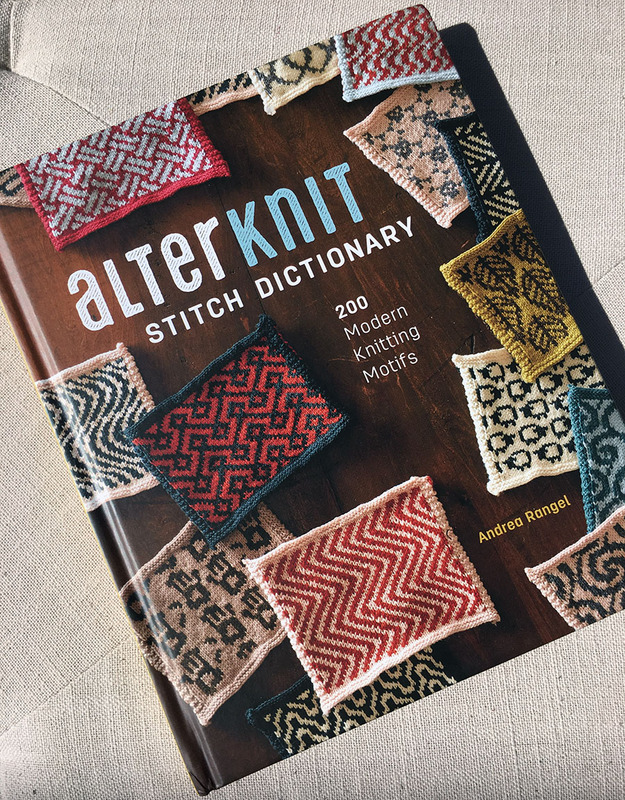 This is a wonderfull interesting exiting book to have and try all these new stitches!! Looks like an interesting book, Dayana.